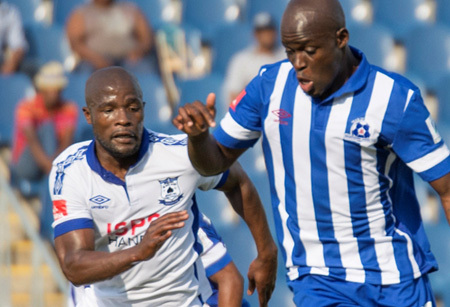 Maritzburg United will be out to reignite their top eight challenge when they clash with MP Black Aces in Mbombela on Wednesday evening, 15 April 2015. With 30 points, the Team of Choice are in ninth spot on the Absa Premiership standings, three points behind Polokwane City in eighth. Aces meanwhile are in 12 th position, but are just three points behind Maritzburg, on 27 points. The two sides have already met twice this season, having played out to a goal-less draw in the league match in Pietermaritzburg, while the Team of Choice went down 2-1 to AmaZayoni in a Nedbank Cup game in February this year. Overall though United boast a superior head-to-head record against Aces. In the nine previous encounters, Maritzburg have won five, Aces three, and there has been only the one draw, with the PMB side netting 10 goals to Aces’ seven. Recent form has seen Maritzburg winning two and losing two of their last five league games, while Aces have won one, drawn two and lost two. The match kicks off at 19H30. Maritzburg United will be out to reignite their top eight challenge when they clash with MP Black Aces in Mbombela on Wednesday evening.